Learn right steps to know about how to install WordPress theme on Hostgator easily in few minutes on cpanel. If you want to know how to install wordpress on hostgator, just follow our step by step guide about WordPress Installation which is available with image also. You can find Hostgator coupon code also if you are planning to buy their hosting plan. Step 1 – Firt Login to Cpanel Account of Hostgator by entering your ID & Password. 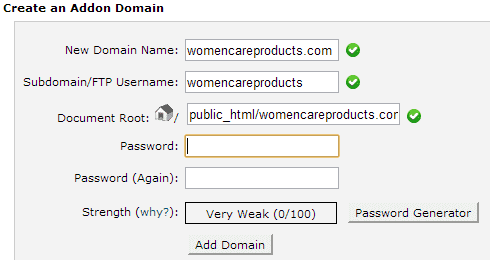 Step – 2 – After Login in to your Cpanel Account, Just scroll below and there you will Find below Add on Domains ad you can See in Image below. Just click on Addon Domains to process. STEP 3 – After Going in to Add on Domains, you will find some form to fill your domain & sub domain / FTP..
You just enter the main domain name & your chosen Passwords… Rest will happen automatically. SEE Image below.. Step 4 – After the above process you will see notification just like in below image… Then Just Go Back from here. STEP – 7 This is final step choose URL where you want to Install WordPress theme and then complete the form by taking guidance from below image..
And When after 100 % Installation, you will get WP Panel Link and password to Login…. you can use for manage theme..
By applying all the above methods, Your WordPress Installation will be complete in best way. 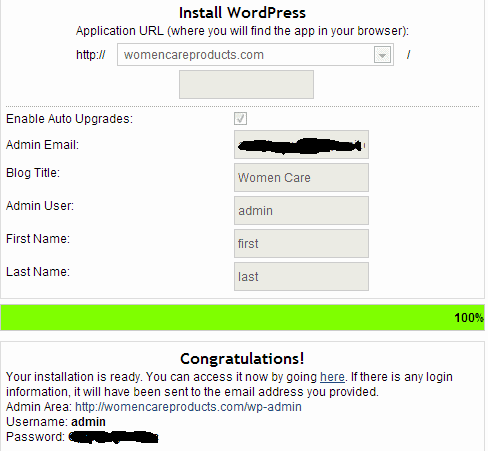 I hope this guide will be perfect solution of how to install wordpress theme on hostgator cpanel.